I have been a fan of the Elder Scrolls, Bethesda, and ZeniMax (ZOS for short) for years. 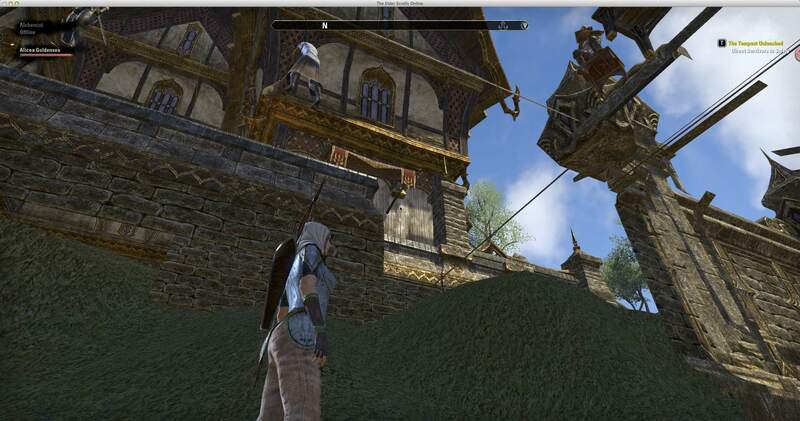 When I first heard they were making an Elder Scrolls Online game, I rushed to sign up for the Beta, even though the computer I had at the time couldn’t really handle running Oblivion, and even Morrowind had to be at its lowest settings. Thankfully, by the time the beta started, I had a new computer, a Mac this time, and eventually I was happy to join in the beta, get invited to the Psijic Order, and play to my heart’s content. All of that to say, this is probably one of the few posts you’ll ever see on here that’s not favorable toward ESO and Zenimax. To be honest, I think they dropped the ball on this issue, and in my opinion, it’s something that needs to be addressed soon. 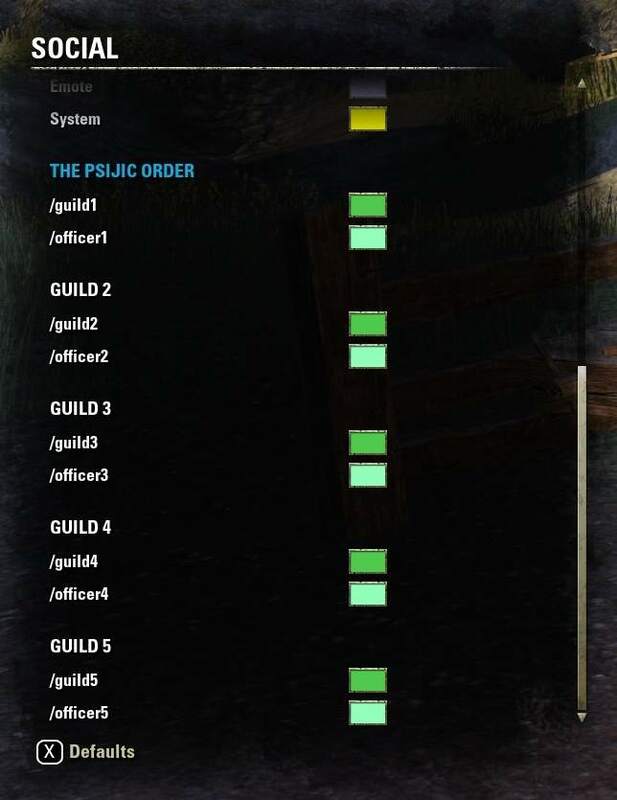 5:00 AM EST – Early on the morning of March 30, the Psijic Order (the group of beta testers who played on the permanent testing server) was buzzing with people waiting for 7 AM EST, when ZOS was scheduled to open the live server, in order to claim the names that they had used throughout testing. 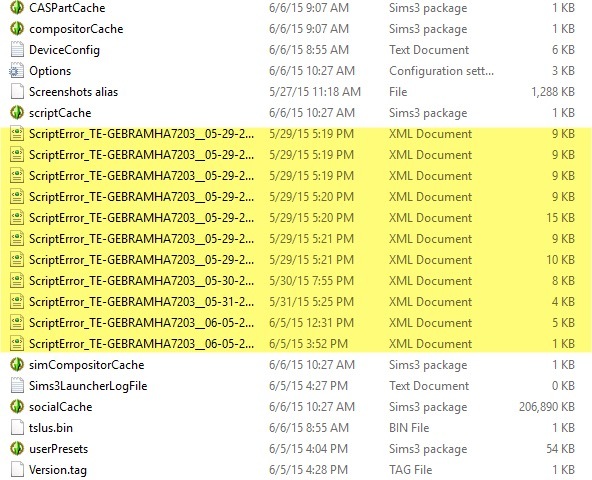 The Live server was a clean version of the beta server, using the same download (plus an upgrade or two) as the beta server that so many (over 5,000,000 registered to beta test) had helped to test. All the beta characters were gone now and everyone was starting with a clean slate. 6:07 AM EST – ZOS had a habit of opening betas earlier than advertised, so people had been checking periodically to see if it was up yet. This time, someone comes back to the group to share that the game is finally open. 6:14 AM EST – 46 minutes before the game was supposed to be open. Wykkyd came back to the group to share that someone stole his name. He wasn’t the only one. With 40 minutes still to go before the game was supposed to be open, person after person came back to the group to share that their names have been taken. Although a few are names that someone might have taken by accident, several, like Wykkyd, are unique names that are well known either across the gaming world or through the social media one. Keeping our beta account name wasn’t enough. At the very least, our account name should have been reserved as a character name – and I think that is true for anyone, whether they were in beta or not. Account and character names should be linked so that there are no duplicates across both game and forums. 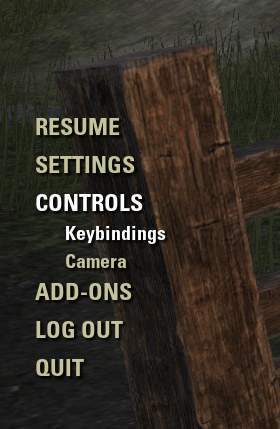 As soon as ZOS started allowing and sharing live steams, those names should have gone into a reserve that could only be accessed by having the right account or proving you were that player. Even if you had to wait a week, until things calmed down, for one of the devs to help and accept your proof of identity, it’s still better than knowing someone else is running around with your name and doing who knows what. For many of us, our main character names were not created just for this game, but they are names we are known by in many places. While starting early was appreciated during the beta, it was part of the problem when the game went live. Name-grabbers were able to take several well-known names before most people realized that the game had even opened. Most social media sites have rules for well-known names precisely because they’ve gone through this before. For instance, Facebook allows you to change your Facebook address once (after you’ve set one address) for this very reason. When they first started allowing personal addresses, you were supposed to be stuck with them for the life of your account, but in the first 10 minutes or so of allowing people to claim them, some of the most well-known social media names had their name claimed before they could grab it. When you have had a nickname for years and across sites, the name becomes an extension of yourself. This isn’t just a playground issue of having another child take your toy, but more of an identity theft issue – the more well-known your nickname is, the more harm someone can do to your reputation by taking the name and behaving in ways that don’t reflect your character. 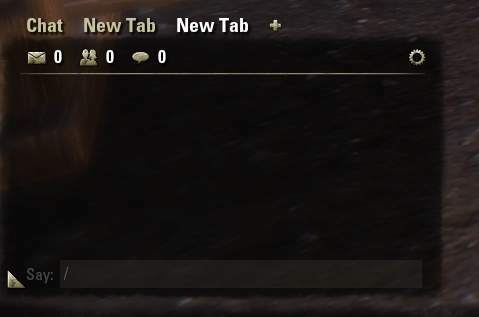 It’s even worse with ESO because of the way they use account names. When you talk in guild chat, you see the account name, not the person’s name. 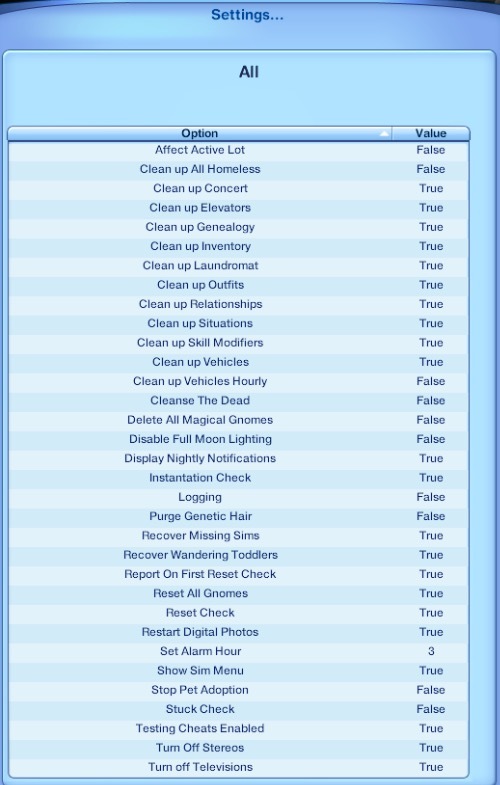 You see the same account names if you talk with them in the forums. And then, if you’re exploring and run into someone with the same name, your first reaction will be that you know that person. What about if you first ran into someone in the game and they were behaving badly, shouting over chat, repeatedly asking you to join their guild, or even gold spamming. Then, you see the same name in a guild that you’re part of, or someone with that name shares advice or even asks a question on the forums. Now you’re likely to respond to that person as though they were the character in the game that got you so frustrated, even though it’s actually two different people. @Alucard just informed me that it gets even worse. Having a friend request added by the person who owns the account name also adds the person with the in-game name! 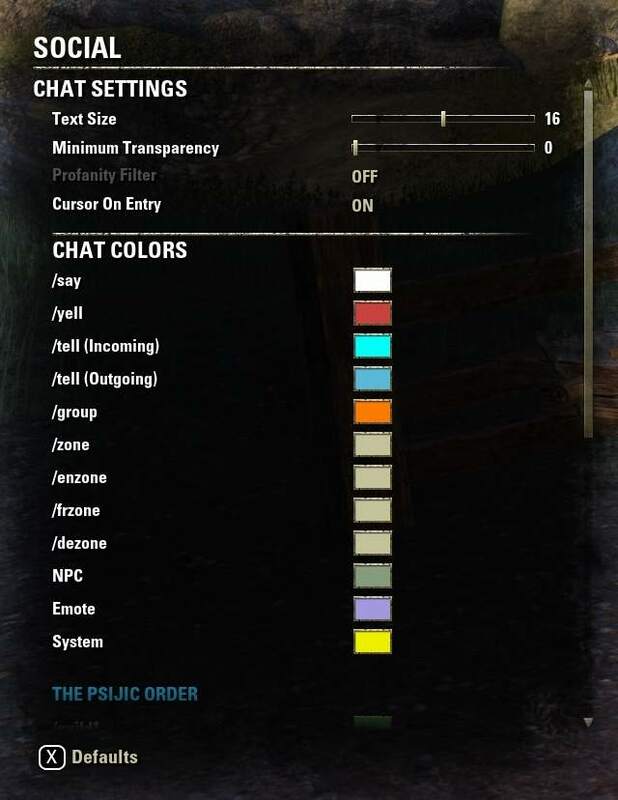 The majority of the Psijic Order testers who had their names taken have not been able to contact anyone by that name in the game. So the characters were created, not by someone wanting to play that name, but by someone purposefully trying to hold the nickname of someone whose name is well-known. It reminds me of back when the internet was so new and all, and people rushed to claim business names so they could then turn around and sell them back to the business at a significant price increase. The companies took the name claimers to court. The court listened to their case and decided that the companies had a right to own their name online. You absolutely may! We advertised that our game would be live by 7 am, and we were fortunate enough to have an incredibly smooth launch, which resulted in the servers opening a little earlier than advertised. Our goal was to have the servers open by the specified time, which is what we accomplished. If you have any other questions, i’d be more than happy to help! 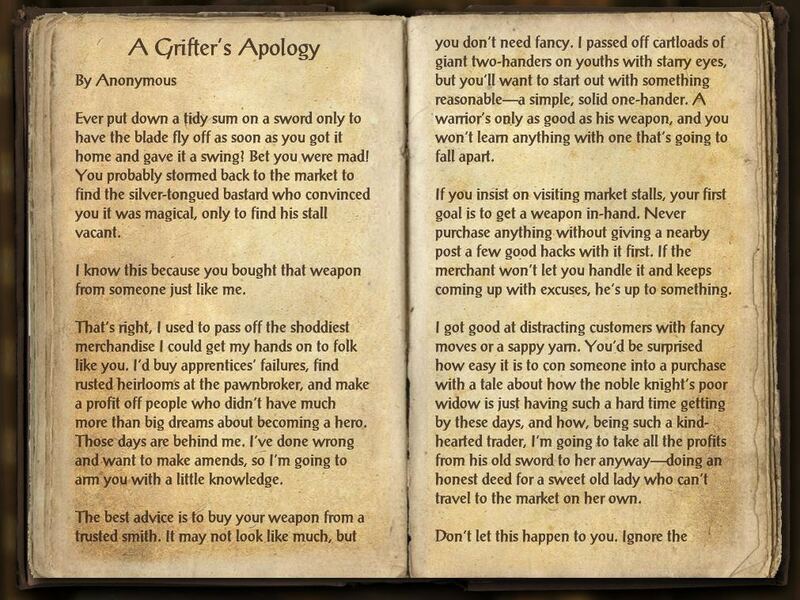 @Wykkyd – And of course many people in Psijic know that my character name Wykkyd was stolen, and presumably parked by the person who did so. I’ve been waiting on a response for over a week now on the status of getting it back. Sometimes people go to absurd lengths to ruin things for others. Considering how “in the open” my name has been prior to launch, and even moreso afterward, I can’t expect to be anything short of intentional. @Wykkyd – I’ve not received any response […] in over a week on my name issue. Email, forum PM’s… all seem to go to an empty cloud. Yeah, I’m sure it’s busy there. It’s busy here too and this is very important to me. I spent 2 hours defending who I was last night (loosely, I was trying to avoid most of the troll baiting) because my char name isn’t “Wykkyd” in zone chat. You may be wondering why so many of these posts focus on character creation. That is because Zenimax created an amazing character creation set-up. While the choices are far from unlimited, still there are enough options that I doubt anyone will run into an identical twin in the game unless they were made that way on purpose. One issue I’ve run into while creating a character is that you can’t put a name in as the first step and claim it. You have to complete the creation before the game saves it as yours, so if you have a name you really want, you’ll probably be rushing through Character Creation to make sure you get the name before anyone else wants it. As time goes on, this likely won’t be such a big issue, but right now, it’s definitely something to consider. Because of this, if you already know or have an idea of how you want the settings, that makes it much easier to just run through the creation and make sure you get the name you want on a character that looks as much as possible the way you want it to look. With that in mind, today we’re going to explore the racial and alliance options when creating a new character. When you first click on “Create Character,” this is the first screen that opens up. The game has randomly chosen a female Orc from the Daggerfall Covenant for me, but today we’ll look at all the other options. One thing to keep in mind, if you purchased the Imperial Edition before the official start date (today), then you have the option to play any race with any alliance. As of today though, the only character advertised to be able to play in any dominion is the Imperial – and that’s only if you purchase the Imperial edition. So What Are The Different Alliances? The Three Alliances in Elder Scrolls Online – which will you play? Which race do you want to play? Races in the Elder Scrolls Online are the same races you’ve known and loved in the other TES games: Breton, Orc, Redguard, High Elf, Wood Elf, Khajiit, Argonian, Dark Elf, Nord, and Imperial. 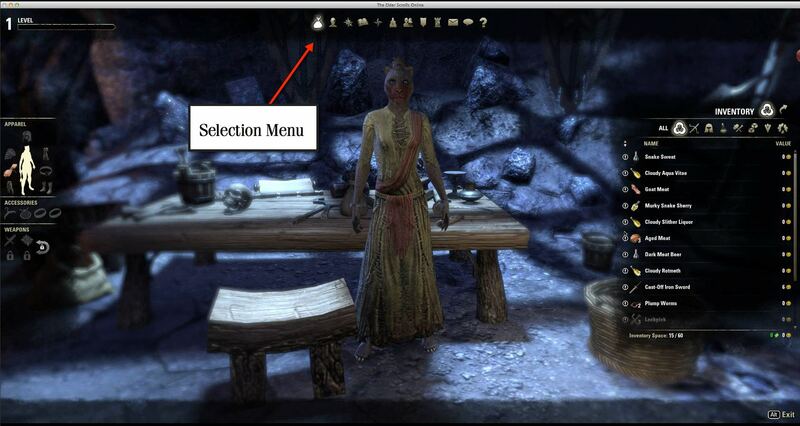 One thing that I think ESO does well, perhaps better than any other Elder Scrolls game, is to make choosing a race an important part of your character selection. Since there are only 4 classes to choose from (we’ll look at those in another post), the racial benefits are what makes your character truly unique. Use the racial benefits to help create exactly the character you want. Do you want a sorcerer who can also be sneaky? 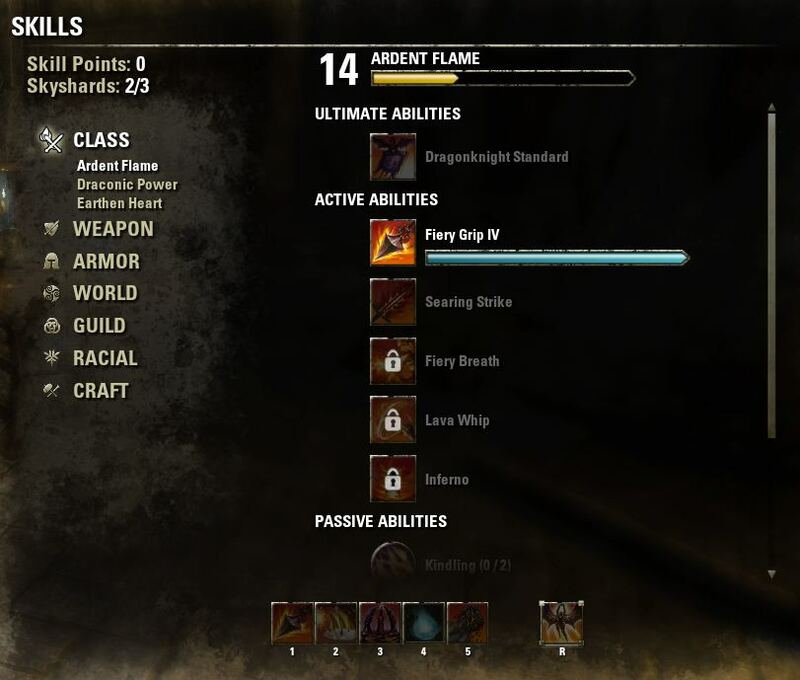 Look at the skills that a Khajiit would add and see if that’s what you’re looking for (She Who Explores – my character named for my blog, is a Khajiit Sorceress, by the way). No race has to be a certain class, so create a character that you’ll enjoy playing. As a hint, any class can wear any armor or use any weapon, so don’t worry about an ability never being used, even if you create an orc healer. Which Races go with which Alliances? There are several ways to train skills, and even add new skills as you play ESO. The most basic way to add a new skill is to gain a level. Each time you gain a level, you will receive an attribute point and a skill point to add to your character. 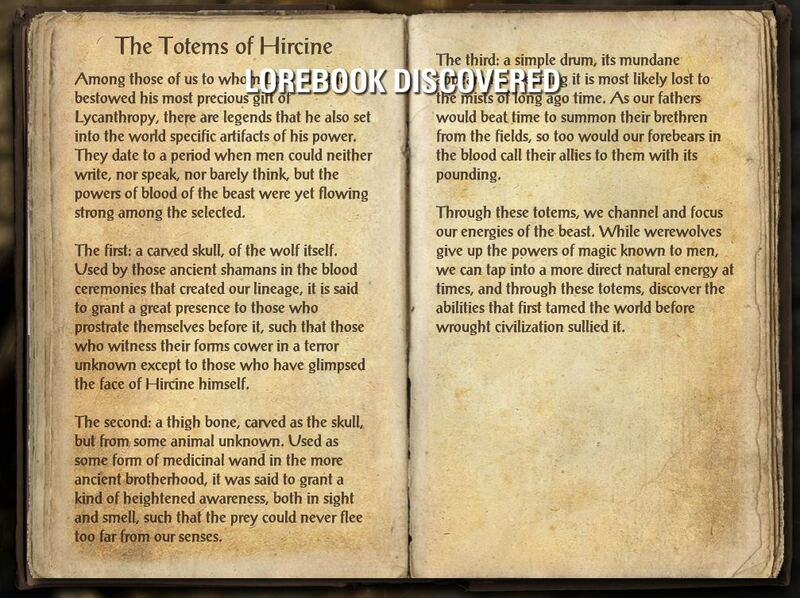 Another way is to find Skyshards, which are hidden around Tamriel, much like the welkynd stones were in Oblivion. For every three skyshards you find, you’ll gain a new skill point. Finally, as you use the skills you have added (or the inherent skills that you were “born” with), those skills will gain levels. It’s not at all unusual to be exploring the wilds and get the message that your light armor skill has gone up. Here it is on the game screen so you’ll know where to find it. The skill headers (Class, Weapon, Armor, World, Guild, Racial, and Craft) will be the same no matter what character you’re playing, but the choices under them will change depending on how you’ve designed your character. Each class has a unique skill set, as well as each race. Use the balance of the two to create exactly the character you want to play. Depending on the type of character you want to play, I recommend spending at least one early skill point on your favorite weapon type (poison arrows are very handy if your character isn’t very strong yet) and if you’re wanting to do alchemy, quickly get to level 2 and then add the skill to be able to find material easily. Alchemy plants are hidden in the wild, so having anything that makes them easier to spot will significantly help your collecting. As you explore in ESO, the details of the maps fill in. From Wayshrines to where the nearest bank is, this information is added along the way. 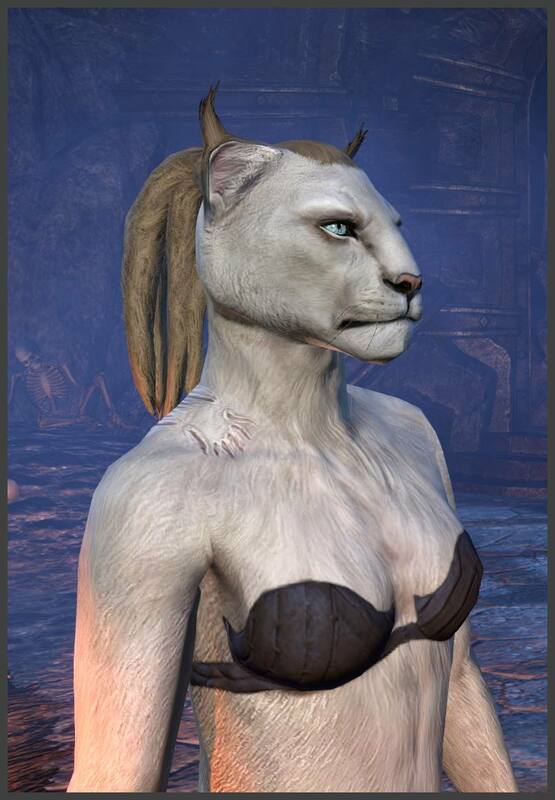 Creating yet another new character today, this time it is a Khajiit Sorceress that is starting out in Devon’s Watch, which means that Bleakrock Isle will be the beginner island. Although there is no requirement to go play the beginner islands, I recommend starting there, especially if you choose the Ebonheart Pact or the Daggerfall Covenant as your starting Alliance. 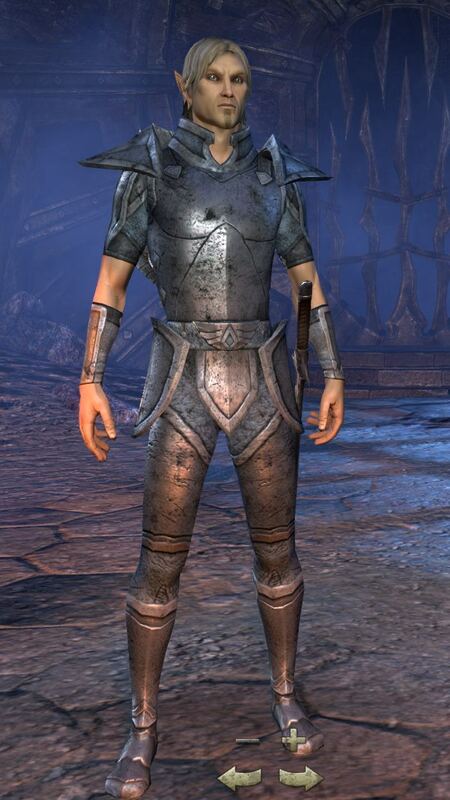 I did play for a while after joining the Aldmeri Dominion and was able to explore the island and advance fairly easily without starting off at the beginner island, but I was also playing as a Dragonknight, which to me is the easiest of the four skillsets to play if you’re planning to play much solo and plan to explore instead of following the quests in any kind of order. 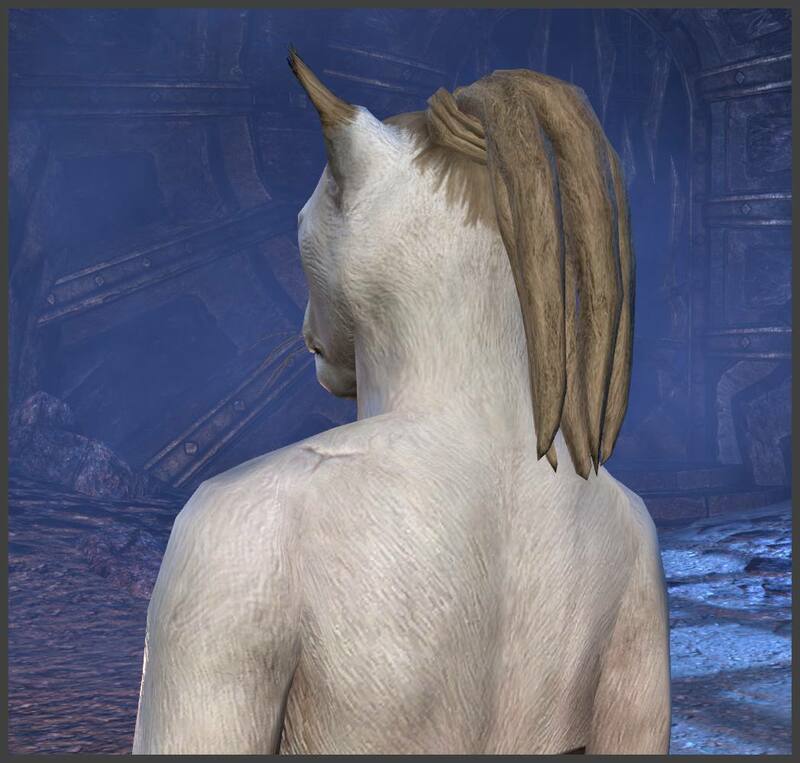 From what I’ve seen so far, most, if not all, of the body markings are the same between males and females. On the Argonians and Khajiits, I would expect that to be the case even more than the humanoid characters. As always, there are 23 positions on the slider, not counting the 0 position, which as far as I’ve seen is always free from markings. 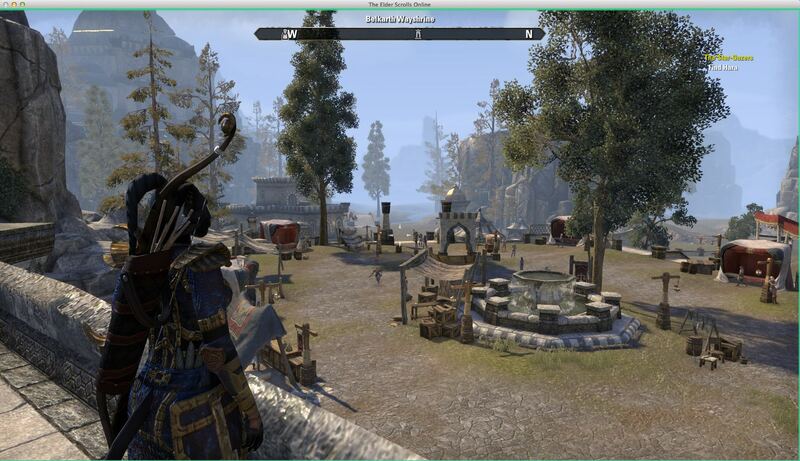 Yesterday I created another new character (an Imperial), chose a new alliance to join (Ebonheart), a new class (a thief), and started exploring a new beginner island, which reminded me of when I first started beta testing Elder Scrolls Online. You will probably enjoy one starting zone more than the others. Make one of each alliance and level each one to at least level 8. Decide which zone you enjoy the most and go from there. Some of the boss encounters are really difficult. If you can’t beat a boss, level up, change your build, update your armor and weapons. Don’t be afraid to ask others for tips. Join a guild. Most of the Psijic Testers don’t use /zone chat. The crafting professions are very useful but try to focus on leveling up only one or two at the most. Provisioner is the easiest to level and Enchanting seems to level the slowest. Do not play this game as if you are expecting the next TES game or the next MMO. The game is truly a blend of the twoand you will have more enjoyment from it if you stop expecting it to be one or the other. I have found the comments about enjoying one starting zone more than the others to be absolutely true. 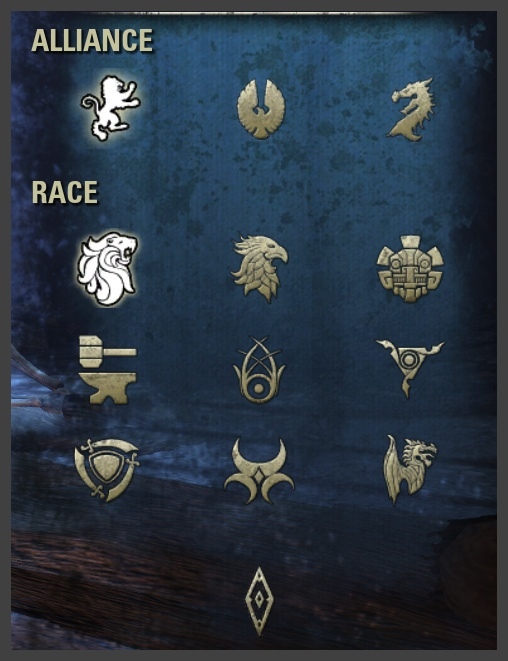 When you create your character, you have the option of choosing which of the 10 races you want to play, and then (a fairly recent change), which alliance you would like to play. When I first started playing, your alliance determined what race you could be, and vice versa. Except for the Imperials, who could play any alliance, for the others, your race was limited to the three races directly underneath the alliance on the picture above. I am grateful for the change, since that gives you more freedom to create exactly the character you want to play. Edit: This choice is only if you preorder the game. Buying it on April 4 or after will limit you to being able to choose one of the three races pictured directly under the alliance you want to play. The Imperial choice, which can play any of the three alliances, only comes from ordering an Imperial edition of the game. Perhaps more than any previous Elder Scrolls game, the choice of race is going to influence your game play. This game doesn’t have the ability to create your own class, something I loved in the one-person games, so if you are wanting a non-traditional character, take advantage of the combined skills from creating a non-standard combination of race and class (for example, since my favorite character combines traits from the thief and Sorcerer, I can create a Khajiit Sorcerer to have the natural agility and stealth along with the spell-crafting ability of a sorcerer). I’ll cover this more in-depth in later posts. Some of the boss encounters are really difficult. I learned this on my first boss encounter. The first boss I had to fight was supposed to be a level 4. My character, a sorceress, was level 6, then 7, and finally 8. At level 8 I finally beat him, but only after spending pretty near 48 hours and running through the same dungeon umpteen million times. It wasn’t until I took some extra advice, went back to the village, and learned to make my own armor and weapons that I finally managed to win that battle. When I first started playing, finished up the starter island (there are 3 in the game, the alliance that you choose will determine which one you get to play), and finally made it to Tamriel, I was excited when I came across the Mage’s Guild. Although I knew that we could only join 5 guilds, I still rushed in, chatted with the NPC and joined up. Then, I ran over to the bank and clicked on the guild account, hoping to finally be able to check out a guild bank. ESO counts the number, not the weight, of the groups of items you are carrying and only gives you a limited amount of carrying space. Banks give more space, and items stored in the bank can be shared among all of your characters. And then there are guilds, which also have bank space where you can deposit your items and anyone else in the guild can withdraw and use the items. If you have something that others might want and you don’t mind losing, then add it to the guild bank. Just remember that it may or may not be there when you come back later. I laughed at myself when I realized that both the limitations on how many guilds you can join and the guild banks are only for player-created guilds, not in-game guilds like the Mages and Fighters. Joining a player guild is a great way to get to know other players, get game advice (someone in your guild may have already been playing for a year or more and have done the same adventure that you are currently stuck so many times that they’ve lost count), and even find people to group up with. I love crafting. 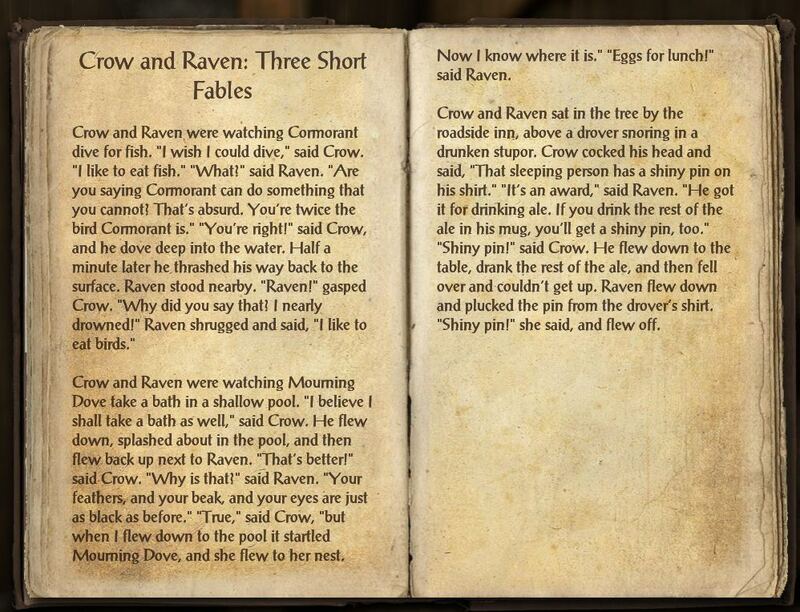 It’s one of my favorite things in TES. I’m not sure I’ve ever played a character that didn’t max out the alchemy skill. ESO offers even more options. 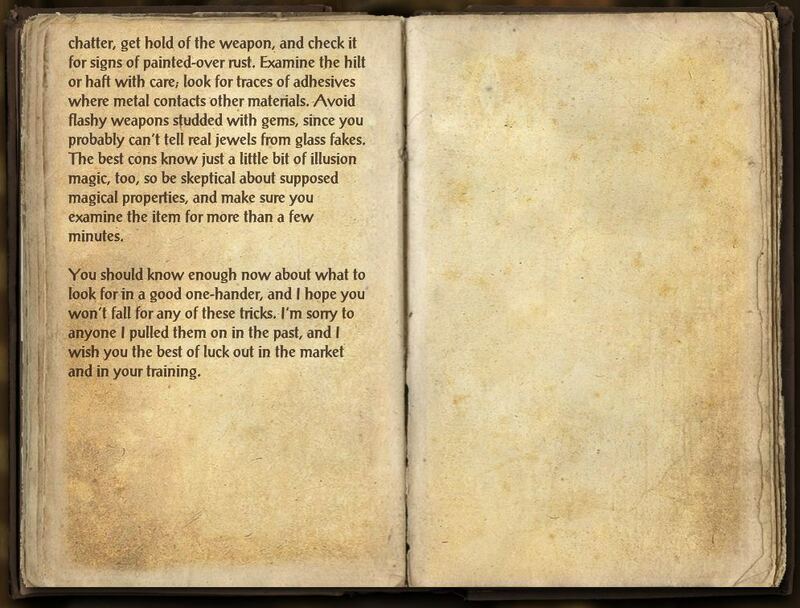 I can make my own weapons, armor, cook my own food, and of course, make my own potions. Crafting in this game is pretty amazing andif it’s something that you enjoy, you can spend a while figuring out the intricacies of it, but you can enjoy the game a lot without spending a single skill point on crafting if you’re not really interested in it. Do not play this game as if you are expecting the next TES game or the next MMO. This was, quite possibly, the single best piece of advice I received when I first started playing ESO. It’s the reason I asked Tabbycat if I could use their comments for my post. This game isn’t Morrowind. It’s not Oblivion. It’s not even Skyrim. At the same time, it isn’t any other MMO I’ve played either. 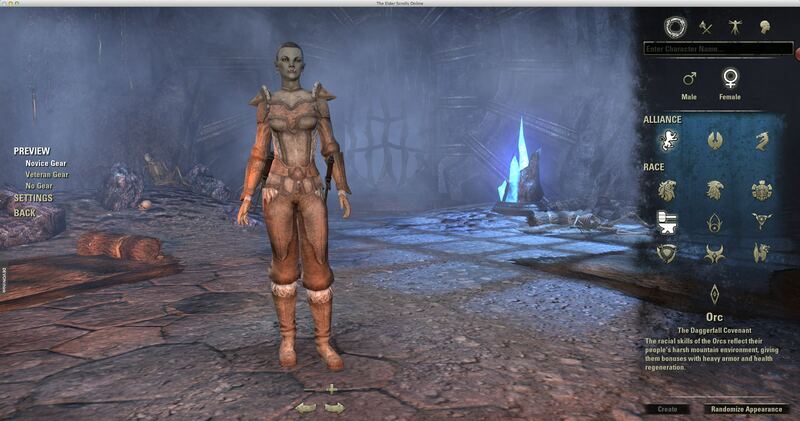 Some parts play like you’ve dreamed an Elder Scrolls MMO would play. Grouping up and going through a cave with 4 friends is awesome. I love how they made it so everyone gets treasure when your group kills creatures, so there’s no worrying about divvying up what you get. At the same time, there is a main storyline, and you can play through the entire thing by yourself without having to team up with anyone if you don’t want to. I love that, since I often enjoy playing solo. Even better, even if you do group up, you don’t have to do the same battle, stay in the same place, or anything. Each person can be off doing something completely different, but it’s easy to stay in contact through group chat (/group) and there is a group icon in the direction bar to show you where the other members are if you want to join them later.